Do you want to gain insider knowledge from the Author of The Card Geek’s Guide to Kipper? Hands-on experience at your finger-tips in this 5 day workshop based on the book. Spend 5 days learning how best to start on your Kipper journey or a refresher for those who have already started! Do you want to learn Kipper Cards and how they were originally used? 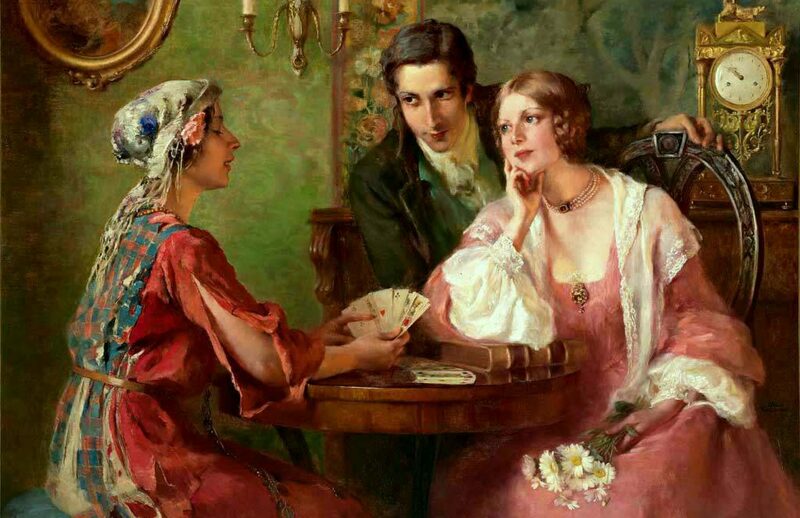 The English speaking world has imposed a Lenormand style reading on the cards and although they are similar in many ways there are differences in techniques. Learn the correct translation and meanings of the cards as written in German and learn the techniques studied in Germany. 5 – 9 card spreads and the techniques you can apply to make your reads precise. Students receive a Certificate upon succesful completion of the Examination. The World Divination Association offers high-quality workshops for several cartomancy systems. For more information and bookings, please check out the course page on the website by clicking here. Online Workshops: FAQ & Updates! What exactly is an online workshop? An interactive course in a private Facebook classroom where you get direct information and feedback from the cartomancy experts. All the workshops run five days and can be completed in your own time, no matter what time zone you are in. Are they only for beginners? Absolutely not! Even as an experienced reader you will get a lot out of the workshops because they are completely interactive. Apart from the fact that it’s always a good idea to refresh your knowledge and get new insights, you will have the opportunity to ask all the questions you have always wanted to ask. A solid foundation or important upgrade of your knowledge, hands-on and personalised advice that will boost your confidence. All your doubts and insecurities put to rest and most likely a couple of new friends who are as passionate as you are about the system they are studying! You will also get an official WDA certificate upon successful completion of the course. What workshops are currently available and how do I sign up? All the workshops can be booked HERE! If you have any other questions, please drop them in the comments and we will get back to you as soon as possible!